While HTC still hasn’t confirmed the existence of a mini One M8 smartphone, we heard several times that this would be released starting this month. Even more, yesterday we saw an image that allegedly showed the front and back of the M8 mini - although, of course, we can’t be sure that that was the real thing. Anyway, the latest info about the M8 mini comes from @evleaks, who says that the handset should be called HTC One mini 2. So the M8 part might not be included at all in its name. It’s believed that the One M8 mini / One mini 2 sports a 4.5-inch 720p display, while also featuring a Snapdragon 400 processor (1.4GHz, quad-core), 1GB of RAM, and 16GB of internal memory. Unlike the large HTC One M8, the new One mini reportedly doesn’t have a Duo camera on the back, but a regular 13MP camera. We’re expecting HTC to launch the new handset in lots of countries. Verizon might release the device in the US, but we don’t know when that’s supposed to happen. What do you think, is HTC One mini 2 a better name than HTC One M8 mini? Forget the name! It has a better camera than the flagship !!! 13 MP vs 4 Ultra Pixel? Yikes! Sounds like Mini is gonna sell better! Good job HTC! Ruin your own flagship!! Biggest damn "mini" I've ever seen. But this might be an embarrasment in terms of bezels. So this might be bigger than G2 mini. G2 has a fairly compact size for a phone with 4.7 inch screen, and I'm sure the M8 mini will be bigger than G2. Yeah,finally they ditch that gimmick of duo camera.But yeah,another "mini"...not close to the z1 compact. HTC Mini M8 would be the catchiest name, but I guess they can't ditch One. Their naming scheme is kinda complicated, One M8, One Mini 2, so the next will be One Max 2? Sounds messed up. The cameras are also messed up too, the flagship One M8 have 4 Ultrapixel whereas the One Mini 2 will have 13 Megapixel. Is there sum tin wong with the HTC team? You have One small eye and One big eye, you are One weird person, M8. One mini 2 lol. Atleast no ultragimmickpixel. Htc thinks its flagship material. 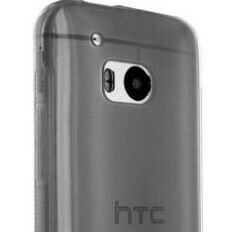 It can be a flagship material but HTC didn't do it right. HTC's naming department is crap as their marketing department. But +1 for 13 mp camera.